The main difference between primary and secondary meristem is that primary meristem is derived from the promeristem whereas secondary meristem is derived from permanent tissues. Furthermore, primary meristem is involved in the primary growth while secondary meristem is involved in secondary growth. Primary and secondary meristem are two types of meristematic tissues present in the growth zones of plants. They contain actively-dividing cells and their function is to produce new cells. Primary meristem is the initial form of meristem of a plant and it is derived from the direct descendants of the embryonic cells. Since it occurs in the apical regions of the plant, this type of meristem is known as apical meristem. Two types of apical meristems occur for a plant. They are the shoot apical meristem and the root apical meristem. Shoot apical meristem is the source for the above-ground plant organs including leaves, flowers, etc. On the other hand, the root apical meristem gives rise to the cells of an adult root. Most importantly, primary meristem is responsible for the longitudinal growth of the plant, increasing the length of the plant. Furthermore, the cells of the apical meristem give rise to three types of primary meristems known as protoderm, procambium, and ground meristem. Here, protoderm lies outside the stem and it differentiates into the epidermis. Also, procambium lies just inside the protoderm and it differentiates into the primary xylem and primary phloem. Furthermore, during secondary growth, procambium gives rise to the vascular cambium and cork cambium, which belong to the secondary meristem. However, ground meristem occurs in the center and it differentiates into the pith and cortex. Secondary meristem is a type of meristem which arises during the secondary growth of the plant. Generally, this meristem occurs in the lateral regions of the plant; therefore, we call it the lateral meristem. The main function of the secondary meristem is to increase the width of the plant, which is the lateral growth. Hence, secondary meristem arises from the permanent tissues of the plant. Moreover, the two types of secondary meristems in a plant are vascular cambium and cork cambium. Here, vascular cambium comprises a ring of meristematic tissue. It consists of two types of vascular cambium known as intrafascicular cambium, which occurs in between the xylem and phloem of the vascular bundle, and interfascicular cambium, which occurs in between two vascular bundles. Also, the main function of the vascular cambium is to produce secondary xylem towards the center and secondary phloem towards the periphery. On the other hand, cork cambium or phellogen occurs as a part of the epidermis. It is responsible for the development of periderm, replacing the epidermis of the primary parts of the plant. Cork cambium produces phelloderm, comprising of parenchyma cells towards the center and phellem or cork, which is a dead protective material towards the periphery. Primary and secondary meristem are two types of meristematic tissues present in plants in their growth zones. Actively-dividing, parenchyma cells make up of both these tissues. These cells have a prominent nucleus and a granular cytoplasm. Also, these cells are closely-packed without intercellular spaces. Besides, their cells are undifferentiated cells that can differentiate into various types of mature cells. 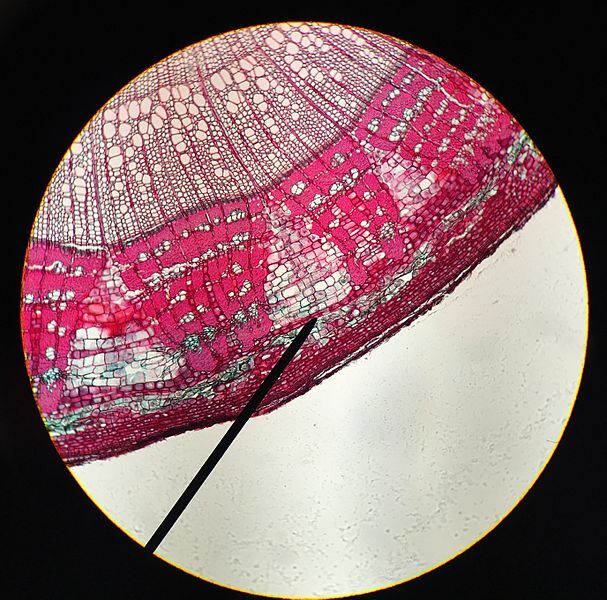 Primary meristem refers to a type of meristem involved in the primary growth and thus gives rise to the primary tissues of the plant while secondary meristem refers to a type of meristem involved in the secondary growth and thus gives rise to the secondary tissues of the plant. Thus, this is the main difference between primary and secondary meristem. 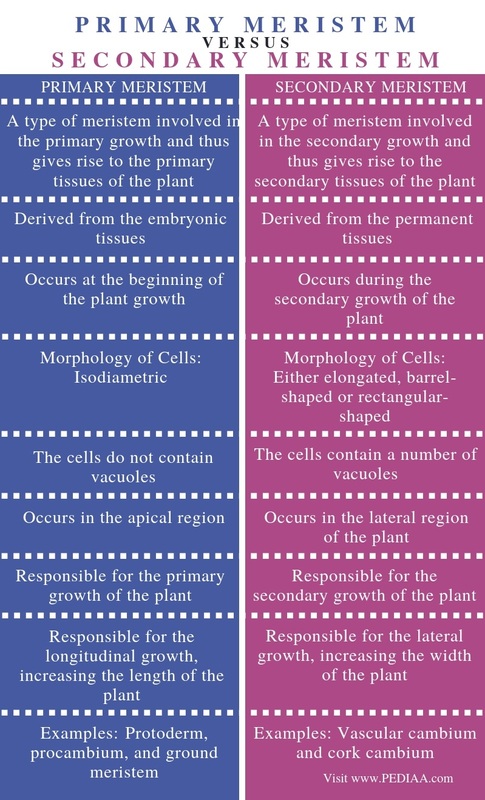 Also, another difference between primary and secondary meristem is that primary meristem originates from the embryonic tissues while secondary meristem originates from the permanent tissues. Primary meristem occurs at the beginning of the plant growth while secondary meristem occurs during the secondary growth of the plant. Moreover, the cells of the primary meristem are isodiametric while the cells of the secondary meristem are either elongated, barrel-shaped or rectangular-shaped. Hence, this is also a difference between primary and secondary meristem. Besides, the cells of the primary meristem do not contain vacuoles while the cells of the secondary meristem contain a number of vacuoles. Another difference between primary and secondary meristem is that primary meristem occurs in the apical region while secondary meristem occurs in the lateral region of the plant. Furthermore, primary meristem is responsible for the primary growth of the plant while secondary meristem is responsible for the secondary growth of the plant. Specifically, primary meristem is responsible for the longitudinal growth, increasing the length of the plant, while secondary meristem is responsible for the lateral growth, increasing the width of the plant. 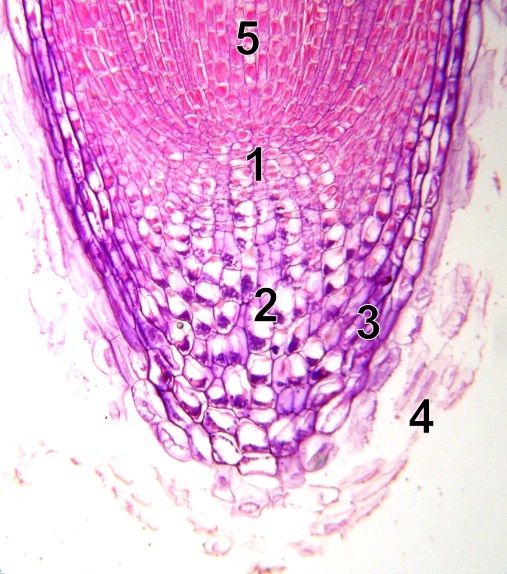 Protoderm, procambium, and ground meristem are examples for primary meristem while vascular cambium and cork cambium are examples for secondary meristem. Primary meristem is the initial form of meristematic tissue in plants, emerging from the embryonic tissues. The cells of the primary meristem are responsible for the longitudinal growth of the plant. Moreover, we call this type of growth the primary growth of the plant. In contrast, secondary meristem is the form of meristematic tissue which emerges later during the secondary growth of the plant responsible for the lateral growth. Secondary meristem originates from permanent tissues. Therefore, the main difference between primary and secondary meristem is the type of growth given by each type of meristem. 1. Schweingruber, Fritz H., and Annett Börner. “Primary, Secondary and Tertiary Meristems.” The Plant Stem, Springer, Cham, 2018, pp. 43–79. Available Here.